‘Tis the season to gather our W2s, fire up the calculator, sharpen our pencils, and prepare our taxes. This late winter ritual comes back around year after year, yet I always feel tempted to procrastinate and put off this dreaded task. Our taxes aren’t all that complicated, and we do have a great accountant. However, because I run a business and have to complete a Schedule C, there are always a lot of receipts to compile, expenses to tally, and it’s typically a big job I don’t enjoy. Here’s how I’m going to get ‘er done this year! Get Started: I have a spreadsheet I’ve used in years past. I knew if I just opened that document, created a new version for 2017, and saved it on my desktop, it would be a start. And that’s exactly what I did. When putting off an unpleasant task, pick just one thing to help you get started. Even if that one thing only takes 5 minutes! Sometimes the start is the most important part. Put it on my calendar: I’ve now blocked an entire morning to tackle my taxes. By committing this time, I’m much more likely to actually get to it. That simple act of writing something down on your calendar, for a specific day and at a specific time, significantly increases the likelihood that you’ll do it. Schedule Breaks: While working on my paperwork, I’ll work in 30 minute bursts and take short breaks. This time management trick is based on the Pomodoro Method—recognizing that we need to build in breaks to stay fresh and motivated. I’ll use a timer on my phone and give myself a couple of 5 minute breaks in between work sessions to keep me moving forward. Create a backup plan: I’ve also built in a Plan B just in case the task takes longer than the time I’ve allotted. I’m really hoping to knock this out in one day, but in case I don’t, I have another morning blocked where I can circle back and wrap things up. If I finish the first day and don’t need that extra morning, then I’ll have a bonus morning free to do something fun! Share the plan with others: Finally, I’ve told my family and friends that this day is tax day. By sharing it with people I care about, I’m committing further to the task and increasing the chances that I’ll do it. While it can be okay to disappointment myself if I don’t live up to my plan, it’s much worse to disappointment others that I care about. Share your goals far and wide and hopefully this peer pressure will help you finish the job. 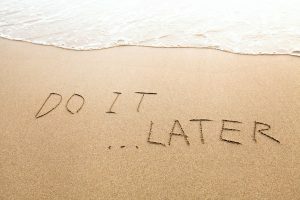 By nature, I’m not a procrastinator. But even the Neat Freak has a few dreaded tasks I want to avoid. Hopefully by setting myself up to succeed, I’ll knock this task out in a day and get it behind me for another year. 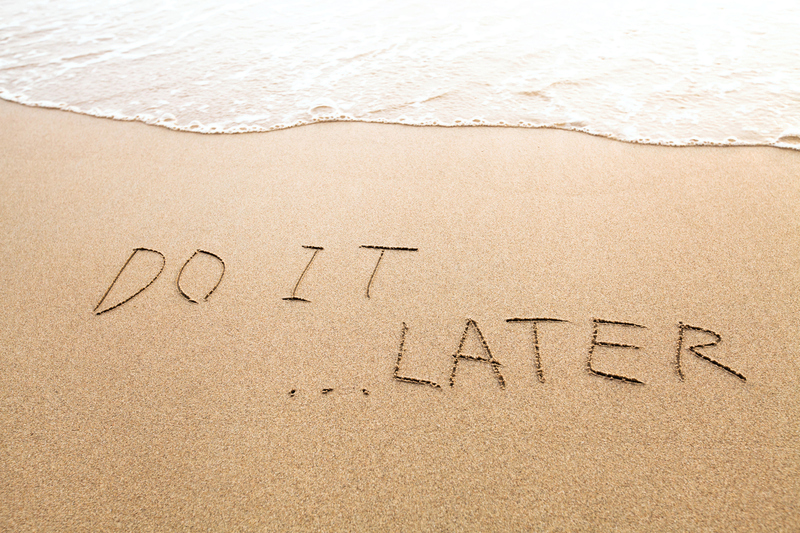 What tasks do you procrastinate on? And what helps you get them done? Try these 5 tips and hopefully, you, too will avoid procrastination and successfully complete the task at hand.